A rich aroma reminiscent of chocolate and nuts pulls you in, when you open a bag of Machu PIcchu-Huadquiña coffee, before you ever add water. This coffee from Cuzco, famous for its superb smell and taste, and well known in international coffee markets, gained another accolade this last Friday when, in a ceremony in the patio of Cuzco’s municipal building, the Peruvian government granted it a Denomination of Origin. Grown on some 1,600 hectares just north of Machu Picchu — on an ex-hacienda — only 22,000 quintals, about 2,200 tons, of Machu Picchu-Hadquiña coffee are produced per year by the 600 small scale farmers who make up the Huadquiña Cooperative. The coffee is grown between 1500 and 2000 meters above sea level, compared with the cituy of Cusco’s 3400 meters and Machu Picchu’s 2438 meters above sea level. Already 90% of this product travels to England, the United States, and Japan where its organic production and its aromatic qualities and taste qualify it as a gourmet coffee. But there is far more to this than simple a relationship between a unique landscape and arabica coffee plants. Hacienda Huadquiña is an ancient hacienda whose titles go back to the 1576, when Don Miguel Rimache Magda Inca passed the estate to Don Juan Huascamayta Huadquiña, from whom the estate took its name. The evident Incan names of the two title holders suggests an interesting history. This hacienda is very close to Vilcabamba, where Peruvian archeologists recently announced the find of an important pre-Ince tomb, whose inhabitant they call the Lord of Wari. Vilcabamba was also the center of a neo-Inca state which resisted the Spanish conquest. In 1540 Manco Inca Yupanqui set up this state with Vilcabamba as its headquarters. It relied on the wildness and difficult terrain of this upland jungle area of tall, steep forest covered mountains, and swift flowing rivers to provide a base for consolidating a rebellion against Spanish rule. The neo-Inca state lasted until 1572 when the Spanish entered Vilcabamba and found it destroyed and abandoned, four years before the estate of Huadquiña passed to the descendent of the Incas who gave it its name. 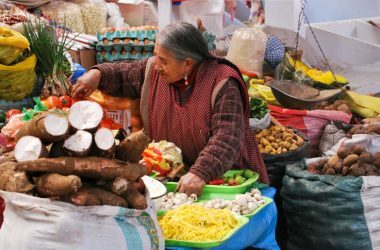 When the train from Cuzco first made its way past Machu Picchu, downriver to Huadquiña in the 1930’s the area was opened to a more market based economy and coffee, cacao, sugar cane, and fruit were planted on a commercial scale. But, due to a malaria epidemic, the population was wasted. As a result, immigrants from the highlands began pouring into Huadquiña to open jungle land and farm. However, as Eric Hobsbawm observes, they found the land already belonged to large owners, such as the owner of the immense Huadquiña estate; the colonists had lots of will to work but no land, while the landlords faced an extreme shortage of labor. They allowed immigrants to clear land on the estate in exchange for work in the estate’s fields. But this set up conditions for conflict. Huadquiña and nearby areas were some of the first in the region to demand, in 1940, formal government recognition of the area as a district. Over the opposition of the landlords this was established in 1957. Many of the workers in the area rebelled between 1961 and 1962 demanding an end to the exploitive conditions placed on them by the land lord of Huadquiña and nearby estates. In 1963, Huadquiña was removed from the landlord’s possession in the first Peruvian agrarian reform declared by the first government of Fernando Belaúnde Terry. The agrarian reform coincided with the growth of cooperativism on the ex-hacienda. Changes in national law, as well as the success of savings and credit cooperatives led to the formation of coffee cooperatives to gain competitive strength in marketing the coffee produced by the small scale farmers who replaced the large estate. Among them, was the cooperative from Haudquiña based on the labor union (syndicates) which already existed. Huadquiña joined with other cooperatives in the region to produce COCLA (from its Spanish title meaning Center for the Agrarian Cooperatives of La Convención and Lares), in 1967. Machu Picchu Huadquiña coffee is one of the brands that COCLA distributes for export, along with other coffees in the area. While people interested solely in the unique qualities of a cup brewed from Machu Picchu Huadquiña beans might ask why all this social history is relevant, there would be no Machu Picchu- Huadquiña coffee in their cup with out it. COCLA has been the basis for developing brands of coffee for competitive advantage in an increasingly demanding coffee market, at the same time it has helped connect farmers and specialists to improve the quality of coffee and respond to difficulties of cultivation. The labor activism and COCLA, as a larger organization, enabled the farmers to build and mobilize an assortment of academics and legal professionals to apply for the Denomination of Origin that was given Friday, March 18th. 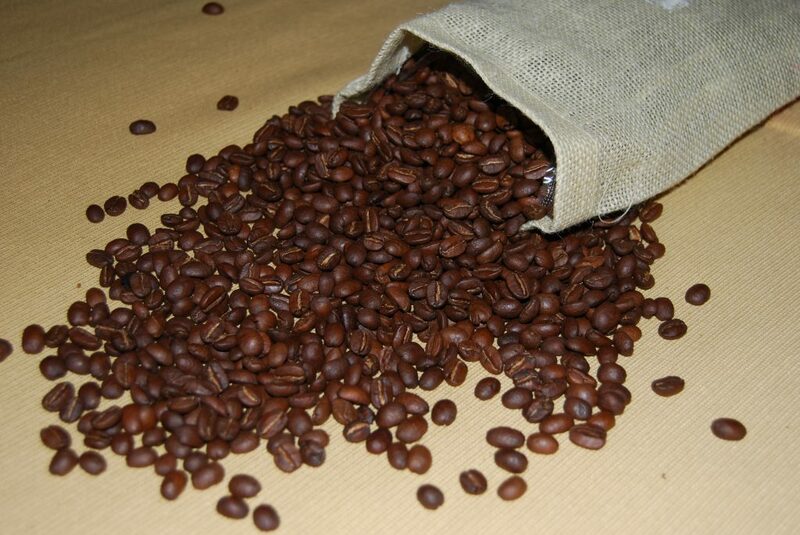 Given by INDECOPI (The National Institute for the Defense of Competency and the protection of Intellectual Property), the certification results from a long process of study and bureaucratic procedure whose point is to certify that the physical qualities of the coffee are unique and that they stem from a relationship between the plant, local forms of cultivation, and a specific geography. Once given, the label Denomination of Origin, fixes the coffee as a specific kind, more than a brand, which can be defended in international courts and actively marketed in international fora. Just from the process of branding, given its quality, Machu Picchu-Huadquiña Coffee has been extremely successful in the international coffee market. The new certification will allow the protection of that brand and increased prices as promotion causes demand to rise. Machu Picchu-Huadquiña Coffee joins an elite group of Peruvian products granted a Denomination of Origin. These include Villa Rica Coffee, Cusco’s Giant White Corn, the Pallar (lima bean) from Ica, the Loche Squash from Lambayeque, and Pisco. It is only the second product from Cuzco to obtain this honor. But, while coffee produced near to the fields that obtained the Denomination of Origin is easily found in Cuzco’s restaurants and cafés, the Machu Picchu-Huadquiña coffee, while honored, is unfortunately rare. 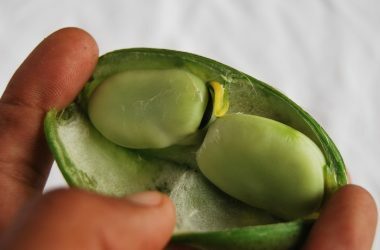 Unlike the Giant White Corn, which can be found in this season for sale on many street corners, fresh out of hot water, Machu Picchu Huadquiña is easier to find in London, New York, or Tokyo, than in Cuzco. Thanks for this post! Very interesting.